A couple months ago, our rockstar Nutrition and Fitness editor Michelle Pellizzon ran the 26.2 mile-long Chicago marathon. No doubt her secret weapons were her unwavering determination and superhero-like endurance. But, at those points during the race when her body felt like it couldn’t run another inch, Michelle turned to another saving grace—Honey Stinger organic energy chews. While some athletes refuel with energy drinks and bars that are packed with artificial ingredients, many of those products can be unappetizing and tough on the stomach. 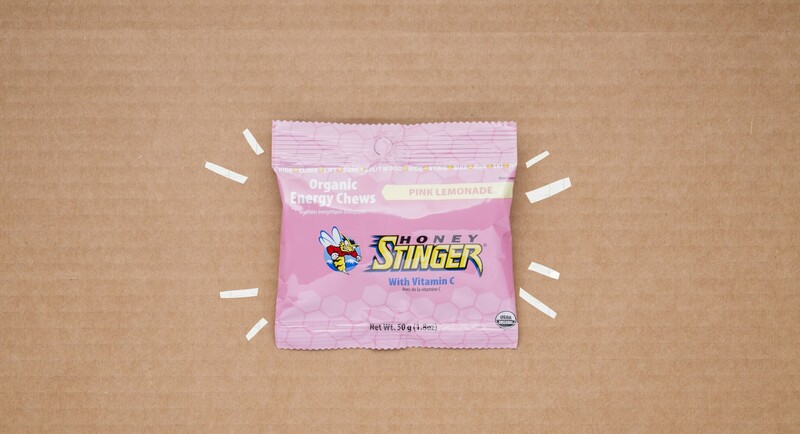 Michelle—a nutritionist and runner—instead went the healthier route with Honey Stinger, the first energy chews to include naturally-occurring fiber and protein derived from organic tapioca syrup and honey. The combo “feels a lot better in the body than processed sugar,” says Michelle, whose flavor of choice is Pomegranate Passion Fruit. Not planning on running a marathon anytime soon? Don’t worry, you can still enjoy the sweet, juicy flavor of Honey Stinger chews on hikes, bike rides, and other everyday adventures.